The curse of the sitcom Friends seems to be that none of the actors can consistently make good feature films. This may change for Jennifer Aniston with The Good Girl. Aniston gives a breakthrough performance that is by far the best thing about the movie, and can potentially pave the way a good career for her as an actress (if she continues to choose good roles). 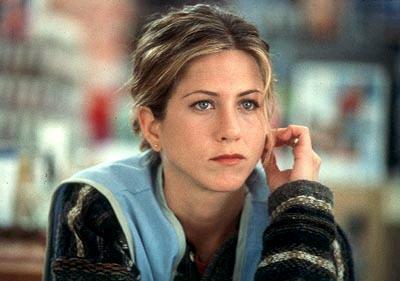 Aniston's (Rock Star, Iron Giant) portrayal of Justine Last is nearly the polar opposite of her Rachel persona. Justine is discovering that at thirty, she is bored with life and the people around her. She works at the cosmetics counter of the Retail Rodeo and comes home to watch her husband and his best friend smoke out. She wants something more out of life, but she doesn't know what specifically she is looking for. The Good Girl is the second film where director Miguel Arteta (Chuck & Buck, Livin' Thing) and writer Mike White (Orange County, Chuck & Buck) collaborated, and again they spotlight the strange existence of normal people. They infuse a healthy amount of humor amongst the angst, and stop just short of making fun of their characters. 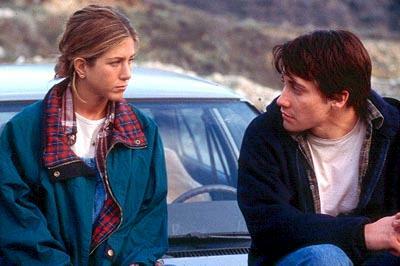 Justine's life changes when she meets Holden (Jake Gyllenhaal, Lovely & Amazing, Bubble Boy), a troubled cashier. He is just as angry with the world as she is, and together they seek solace in knowing that they "get" each other. The two begin an affair, which Justine manages to hide from her husband Phil (John C. Reilly, The Anniversary Party, The Perfect Storm) and his friend Bubba (Tim Blake Nelson, Minority Report, O Brother, Where Art Thou?). She believes they are stupid, and she is essentially correct. Phil doesn't realize that their marriage is on shaky ground, even before Justine begins her affair with Holden. Justine is mainly looking for somebody to talk to, someone who understands what she is going through. As it turns out, Holden is still basically a kid, and cannot understand the personal crisis that she is going through. He mistakes their closeness for love. It sometimes feels like Arteta and White are straining to add a little more substance to The Good Girl. They've sketched out an intriguing premise and added lots of wry humor, much of it from Zooey Deschanel (Big Trouble, The New Guy), as a bored coworker of Justine. They've put so much depth into Justine's problems that nothing can live up to her expectations. In a way, this may be how things should be, since Arteta and White want to illustrate how much alienation she feels. It feels like they are using humor to hide some of the other parts of the film. Instead of more confrontation, somebody says something amusing. Still, Aniston's performance is subtle. She uses an impressive amount of restraint and is able to convey Justine's emotions with a minimum amount of exertion. 1 hour, 33 minutes, Rated R for sexuality, some language and drug content.